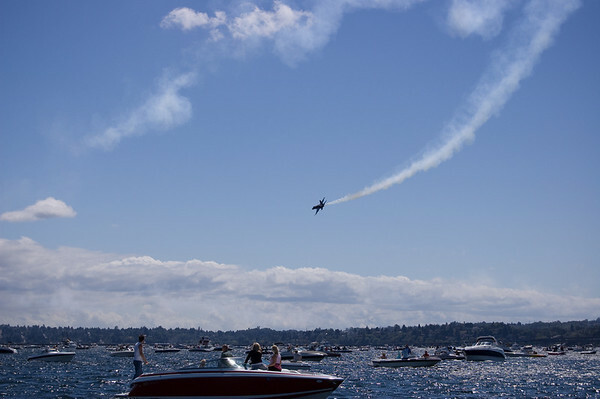 bzimmer.ziclix.com / Boats + planes = Seafair. 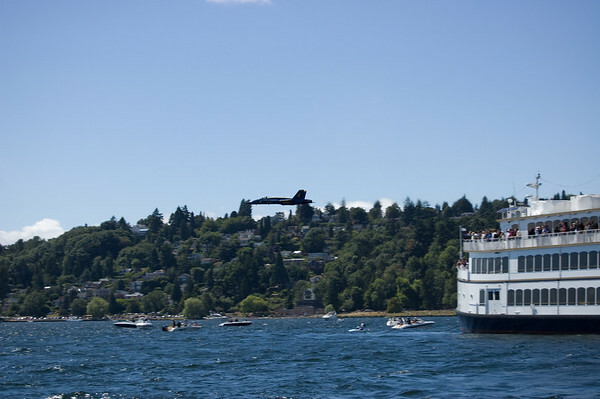 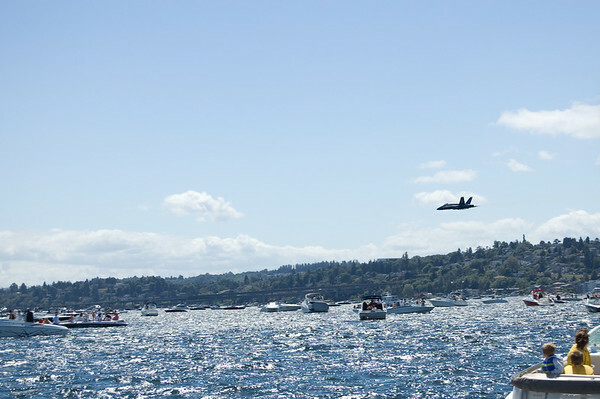 Boats + planes = Seafair. 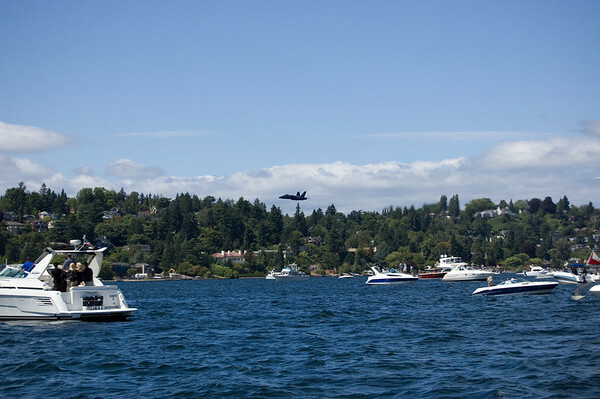 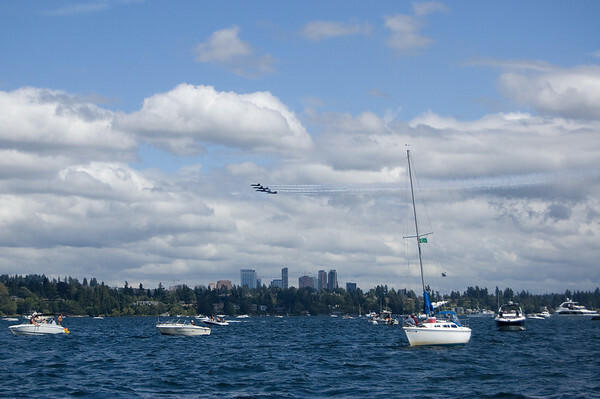 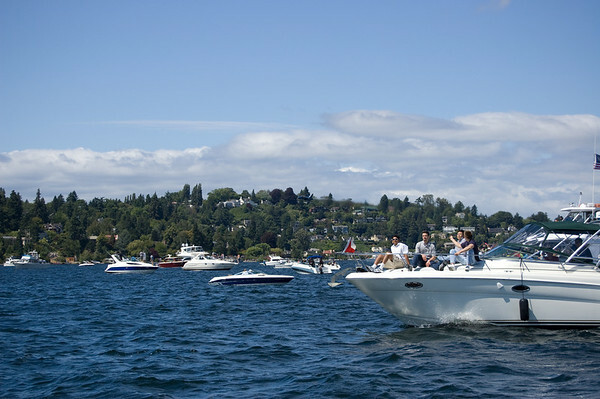 I've watched many a Chicago Air and Water Show and Friday enjoyed my first Seafair from a boat on Lake Washington. 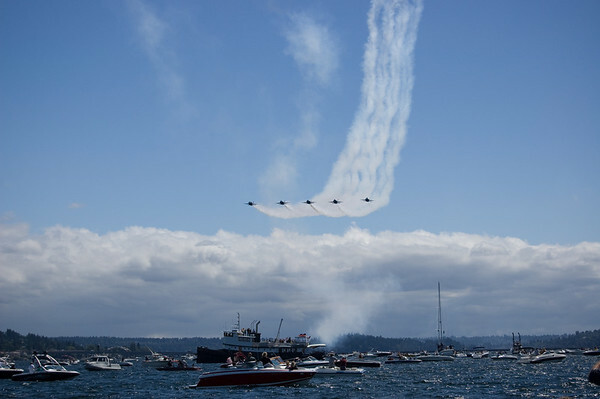 Jockeying for the best position seems to be as much of the experience as the show with the likes of steamboats, cruise boats and powerboats forcing each other around — then the show begins. 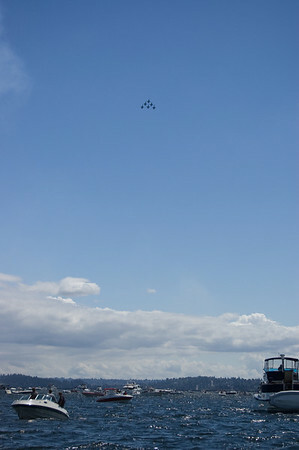 To the cheers of the crowd, the Blue Angels fly over in formation. 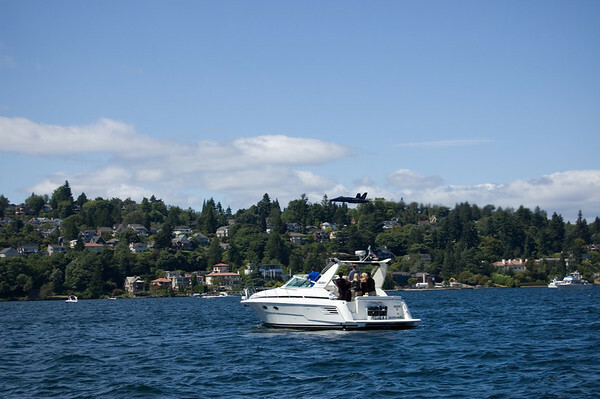 That plane is barely clearing the boats and trees! 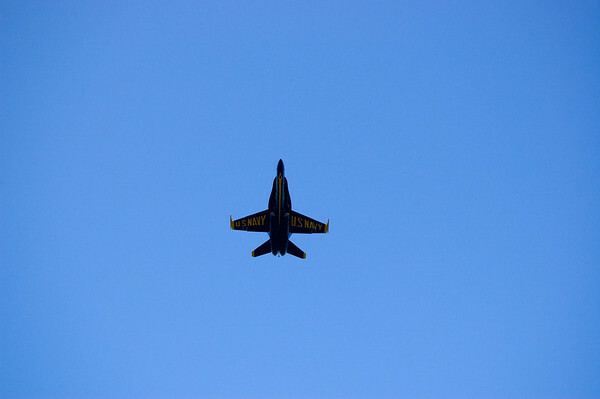 As you'd expect, the sound was nearly deafening. 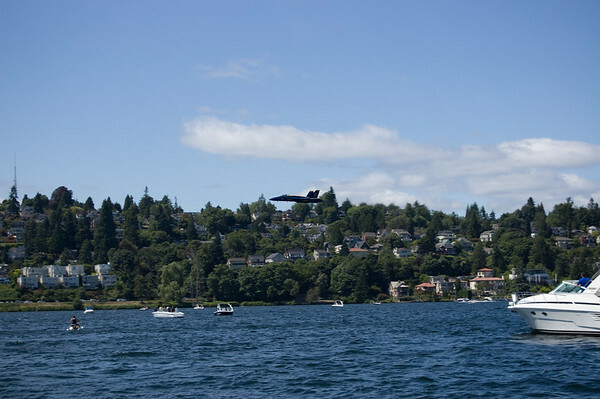 Following the fast moving planes while standing on a boat on a lake with chop is not my normal photographic experience. 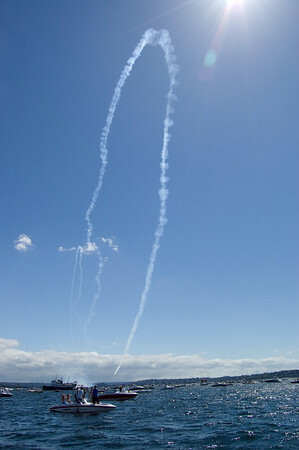 A couple more passes and the show ends. 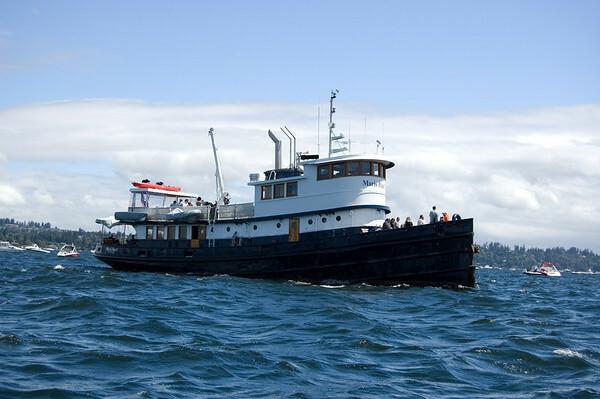 I was curious about fuel consumption so I did some googling. 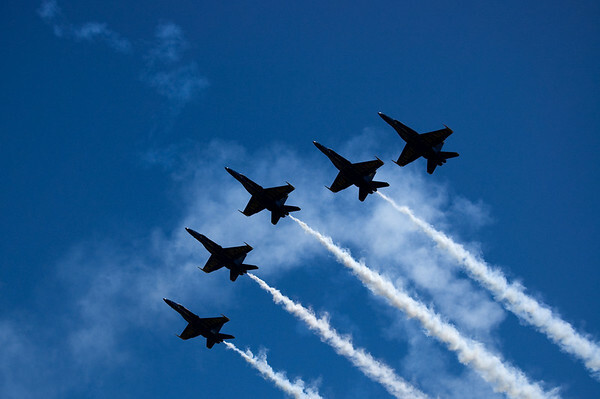 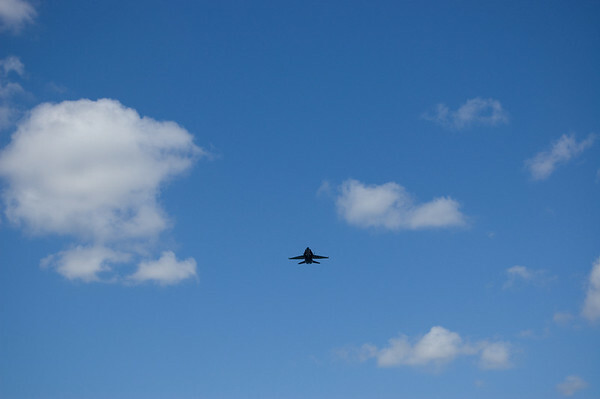 A rough estimate for the weight of jet fuel is 7lbs/gallon and according to the Blue Angel web site each Boeing F/A 18 Hornet carries 11K lbs of fuel. 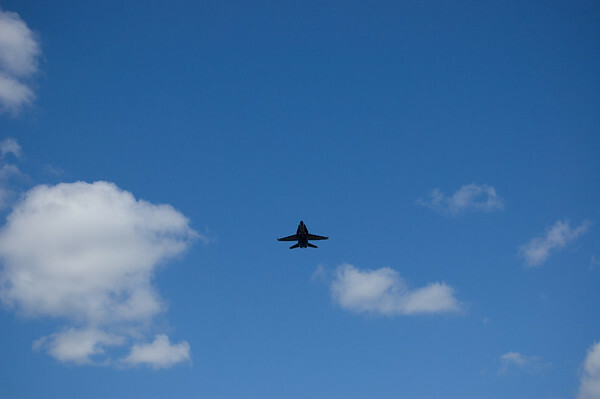 If I'm reading this table correctly, the cost of jet fuel is about $3.76/gallon (seems low). 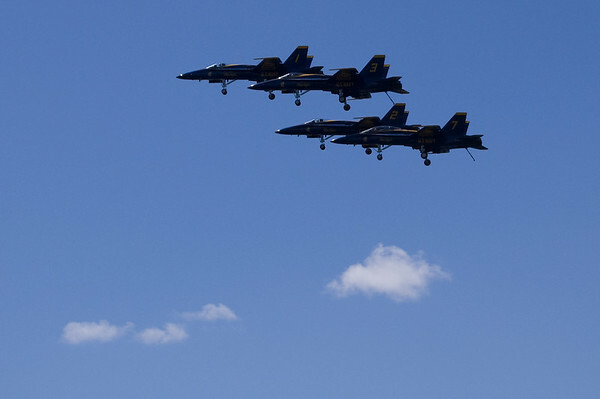 This, I believe, works out to be almost $6K worth of fuel per plane. 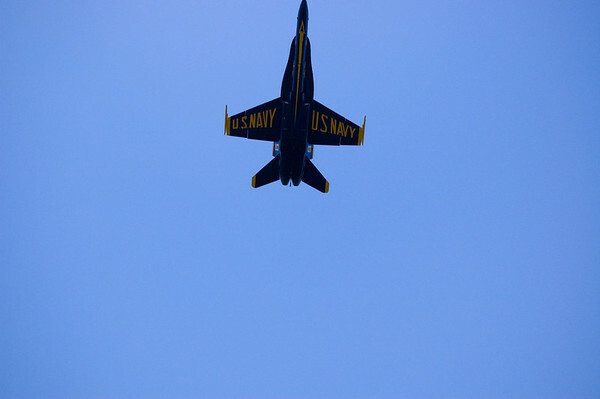 Note: I did the math backwards the first time, shocker.